Helios Off Grid Solar Kits are designed for easy installation and low maintenance. 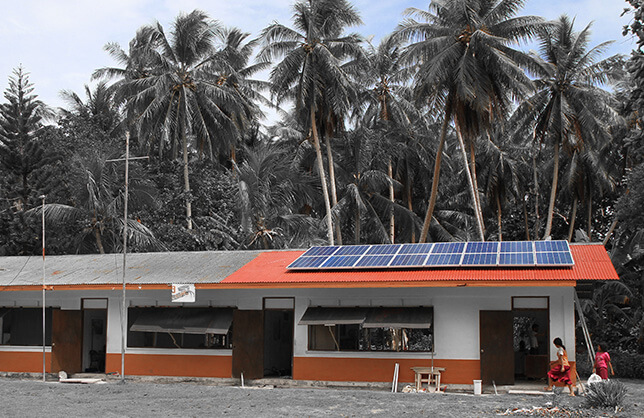 Off Grid solar systems are noiseless, produce zero emissions, and offer grid independence. Unlike standard On-Grid PV Systems which will not provide electricity to your house during a power outage due to safety regulations (anti-islanding), Helios off grid solar PV systems function totally isolated from the utility grid. Our off grid systems provide power from solar panels and can work in conjunction with a backup generator for charging batteries or when power is in high demand. Helios stand-alone solar panel systems are independent from any utility connection and are designed to deliver power in remote areas when the grid is not available. Whether you’re using an Off-Grid solar PV system for your place of business or residence, Helios Off Grid solar kits are an ideal PV solution for those looking for a renewable energy generation system. Designed with lead acid gel batteries, each off grid PV system is designed to deliver power when its needed most. Our engineering team is well qualified to design each system accordingly based on the energy storage requirement, peak loads, and budgetary requirements. With a Lead Acid Battery backbone and a transformer based inverter, Helios off grid solar kits require no grid connection and are a great option for rural areas with limited or no power access. Our off grid solar battery systems are available in multiple configurations and sizes and can be designed and engineered for your specific site characteristics. Each system comes fully equipt and ships ready to install. Additional battery configurations are available upon request. Talk to our engineering team to find out more. The difference is clear, get better results with our all in a box packaging solutions. 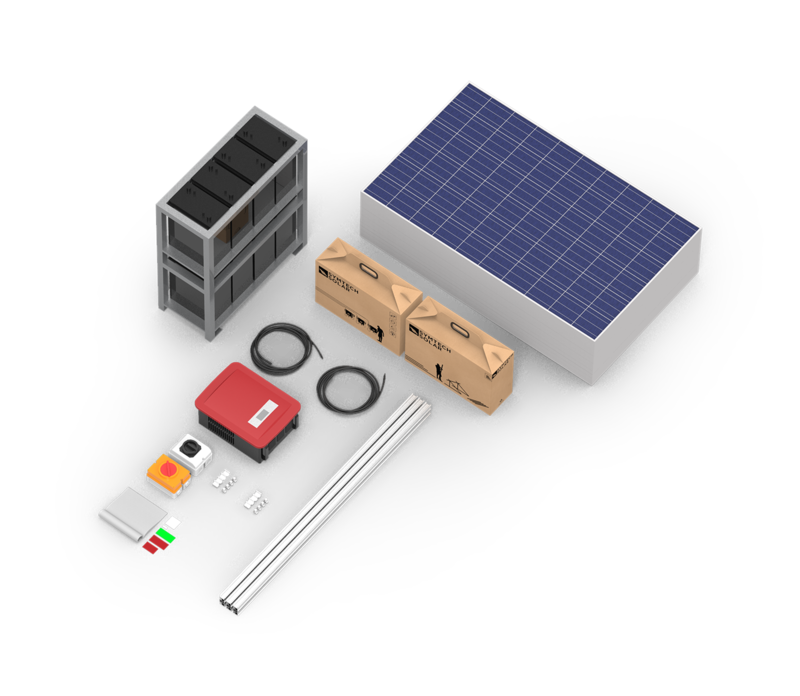 Symtech Solar’s heavy-duty ISPM15 Compliant crate design not only protects the contents during international shipping but also ensures that your off grid solar kits arrive to their destination site undamaged ready to be installed. Better prices, better delivery, better solar.